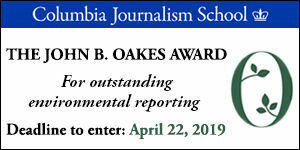 Environmental Journalism 2019 will take place in Fort Collins, Colorado, hosted by Colorado State University, October 9-13, 2019. Colorado simultaneously boasts and suffers from a population explosion in Denver and other cities. This purple state is fertile ground for both clashes and collaborations among parties vying for rights to land, water and air, whether to preserve it for wildlife and human recreation or to exploit it for energy extraction. And it is fertile ground for stories! Environmental Journalism 2018, hosted by the University of Michigan-Flint, is a wrap. More than 700 attendees networked, went on tours and took in countless educational sessions. Multimedia coverage. View the agenda or read speaker bios. Check out our sponsors, exhibitors, independent reception hosts and advertisers. It's critically important to SEJ to gather evidence on the impact of our work. Please help us to keep SEJ strong and share links, photos, copies of reporting generated or informed by this conference. Send your story links to Cindy MacDonald, SEJ's Web content manager. Environmental Journalism 2017 was hosted by the University of Pittsburgh/Swanson School of Engineering in Pittsburgh, Pennsylvania. 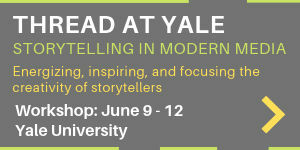 Find coverage here, peruse the agenda or read speaker bios. If you wrote stories informed by the conference, please send us the links to include on our coverage page. Environmental Journalism 2016 took us to California, the Land of Extremes and Home of Big Dreams, hosted by Capital Public Radio and UC Davis. Multimedia coverage is posted here. See the agenda and speaker bios. SEJ's 2015 conference was hosted in the land of weather, water and energy by the University of Oklahoma. Find coverage here. The agenda included video and graphics training, tours and sessions on fracking & quakes, climate change & extreme weather, water rights & fights, Native Americans & diversity, ag & soil health, and more. If you wrote stories informed by the conference, please send us the links to include on our coverage page. Multimedia conference coverage of SEJ's 24th Annual Conference is posted here. Send us links to your stories for inclusion on the coverage page. Share your conference photos on SEJ's public Flickr page. See Twitter and Facebook posts by attendees using #SEJ2014. SEJ's 23rd Annual Conference was hosted by the University of Tennessee at Chattanooga. Here you'll find multimedia conference coverage, speaker bios, session descriptions, exhibitors, and more. 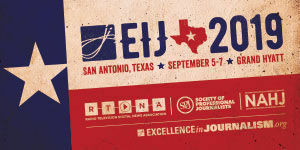 Check out multimedia conference coverage, session descriptions, speakers, exhibitors and more for SEJ's 22nd annual conference, October 17-21, hosted by Texas Tech University. Image: Bat Flight Amphitheater at Carlsbad Caverns National Park. Photo © Marina Fisher-Phelps. SEJ's 21st annual conference, October 19-23, was hosted by the University of Miami. View multimedia coverage, session descriptions, speaker bios, exhibitors, and more. Find multimedia coverage, session descriptions, and speaker bios for SEJ's 20th annual conference, October 13-17, hosted by The University of Montana.